ICDS is a centrally sponsored scheme implemented by state governments and union territories. It aims at providing supplementary nutrition, immunization and pre-school education to the children. Objectives – To prevent and reduce young child under-nutrition (% underweight children 0-3 years) by 10 percentage points, enhance early development and learning outcomes in all children 0-6 years of age, improve care and nutrition of girls and women and reduce Anaemia prevalence in young children, girls and women by one fifth by the end of 12thfive year plan. Beneficiaries – Children in the age group of 0-6 years, Pregnant women and Lactating mothers. Services under ICDS – It offers a package of six services such as Supplementary Nutrition,Pre-school non-formal education, Nutrition & health education, Immunization, Health check-up and Referral services. The services are offered at Anganwadi Centres through Anganwadi Workers (AWWs) and Anganwadi Helpers (AWHS) at grassroots level. All components of ICDS except Supplementary Nutrition Programme (SNP) are financed through a 60:40 ratio(central: state). The Supplementary Nutrition Programme (SNP)component was funded through a 50:50 ratio. The North East states have a 90:10 ratio. SABLA is a centrally sponsored scheme to empower adolescent girls of 11-18 years and it is implemented through the State Governments/UTs. Objectives: Enable the adolescent girls for self-development and empowerment, Improve their nutrition and health status, Promote awareness about health, hygiene, nutrition,adolescent reproductive and sexual health (arsh) and family and child care and to educate,skill and make them ready for life’s challenges. All Components except nutrition provision will get 100% financial assistance from the Central Government. The nutrition provision will be funded by Central government upto the extent of 50%. It aims holistic development of Adolescent Boys, on the pattern of SABLA. It would aim at the all-round development of Adolescent Boys to make them self-reliant,gender-sensitive and aware citizens, when they grow up. The scheme will focus on all Adolescent Boys between 11 to 18 years and will primarily focus on out-of-school boys. To make the Adolescent Boys gender sensitive, self-development and empowerment. To address the health needs i.e. the physical, mental and emotional health of Abs. To create sensitized Ahimsa Messengers to address Violence against Women. To provide relevant information and vocational skills through National Skill Development Program (NSDP) for future work-participation. To promote awareness about health, hygiene, nutrition and Adolescent Reproductive& Sexual Health (ARSH) and family and child care. The scheme will utilize the structures made under ICDS (Integrated Child Development Services Scheme). The Anganwadi centers are the central points to deliver the services, and if the Anganwadi infra structure is inadequate, it will be provided by the local Panchayat or Municipal Committee. This scheme is a redesign of the already existing Adolescent Girls (AG) Scheme being implemented as a component under the centrally sponsored Integrated Child Development Services (ICDS) Scheme. The scheme is launched to address the issue of decline in CSR in 100 gender critical districts and to provide convergent efforts to ensure survival, protection and education of the girl child. It involves coordinated efforts from Ministry of WCD, Ministry of Health and Family Welf are and Ministry of HRD. It is a platform for dissemination of Information, Education and Communication (IEC)Material on BBBP, to update monthly birth statistics. The digital board displays audio video material as well as still frames for disseminating in formation and is being displayed at important state offices. It is launched as a part of the ‘Beti Bachao Beti Padhao’ campaign. It is a small deposit scheme for girl child to motivate parents to open an account in the name of a girl child and for her welfare to deposit maximum of their savings. The account can be opened at any time from the birth of a girl child till she attains the age of 10 years in any post office or authorized branches of commercial banks. A minimum of Rs. 1000 and maximum of Rs. 1.5 lakh can be deposited during a financial year and fetch an interest rate of 9.1 % and provide income tax rebate. The account will get matured in 21 years from the date of opening of account or marriage of the girl child after attaining 18 years of age. Partial Withdrawal for girl child education can be done when she cleared 10th class or turned 18 years. 100% of the amount can be withdrawn after girl child turns 18 is allowed and the provision of not allowing the withdrawal till the age of 18 is to prevent early marriage. It is comprehensive Scheme for Prevention of Trafficking and Rescue, Rehabilitation and Re-Integration of Victims of Trafficking for Commercial Sexual Exploitation. The Objectives of the Schemes –To prevent trafficking of women and children for commercial sexual exploitation through social mobilization and involvement of local communities, awareness generation programmes, etc. To facilitate rescue of victims from the place of their exploitation and place them in safe custody. To facilitate reintegration of the victims into the family and society at large. To facilitate repatriation of cross-border victims to their country of origin. It caters to primary needs of women in difficult circumstances. Like destitute widows, women prisoners released from jail and without family support,women survivors of natural disasters, trafficked women/girls, mentally challenged women etc. The package of services include provision for food, clothing, shelter, health care,counselling and legal support, social and economic rehabilitation through education, awareness generation , skill up gradation. Support to Training and Employment Programme for Women (STEP). It is a ‘Central Sector Scheme’ that aims to provide skills that give employ ability to women and to provide competencies and skill that enable women to become self-employed/entrepreneurs. The grant under the Scheme is given to an institution/ organization including NGO sdirectly and not the States/ UTs. The assistance will be available in any sector for imparting skills related to employ ability and entrepreneurship. It aims to achieve holistic empowerment of women through convergence of schemes/programmes of different Ministries/Department of Government of India as well as State Governments. It is an award conferred on eminent women, organization and institutions rendering distinguished service to the cause of women especially belonging to the vulnerable and marginalized sections of the society on the occasion of International Women’s Day (IWD). The objective of the scheme is to provide a set of financial incentives for families to encourage them to retain a girl child, educate her and prevent child marriage. The scheme provides for cash transfers to the family of the girl child on fulfilling certain specific conditions like immunization, enrolment and retention in school, insurance cover etc. Since 2005, JSY pays Rs.1,400 to poor women who deliver in a hospital, for the first two deliveries. National Food Security Act (2013) mandated the payment of no less than Rs.6,000 to all pregnant women, irrespective of their income status. So the Ministry has formulated Indira Gandhi Matritva Sahyog Yojana. It was implemented using the platform of Integrated Child Development Services (ICDS) Scheme and in selected 53 districts across the country. MBP is the Pan-India Expansion of Indira Gandhi Matritva Sahyog Yojana. The Scheme provides cash incentives to pregnant and lactating women. To breastfeed the child during the first six months of the birth, this is very vital for the development of the child. All Pregnant Women and Lactating Mothers (PW&LM), excluding those in regular employment with the Government or PSUs or those who are in receipt of similar benefit sunder any law for the time being is eligible. The cash incentive is payable in three instalments for the first two live births in three stages. The cash transfer would be Aadhaar linked through the individual bank/post office account etc. in DBT mode. It is a Centrally Sponsored Scheme and the cost sharing between Centre and States is 60:40 for all the States and UTs (with legislature), 90:10 for NER and Himalayan States and 100% Go share for UTs without legislatures. 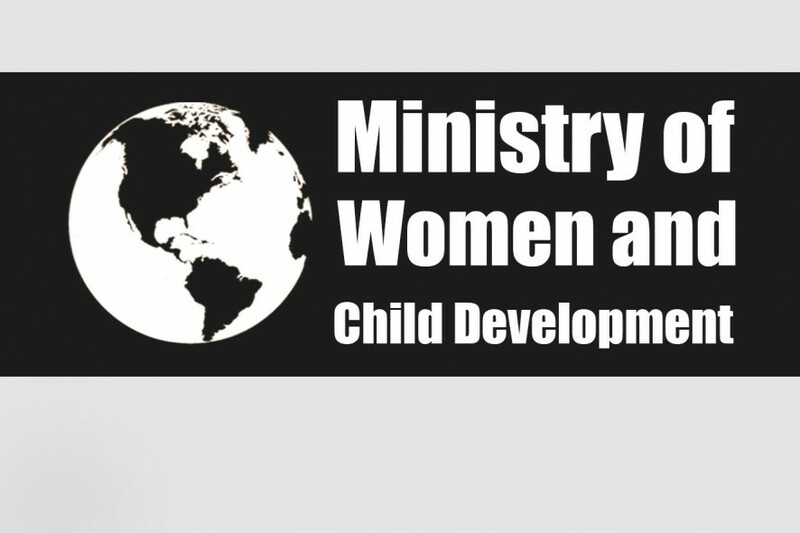 The Union Ministry of Women and Child Development has launched Protection of Children from Sexual Offenses (POCSO) e-box. (POCSO), e-Box, is an online complaint management system for easy and direct reporting of sexual offences against children and timely action against the offenders under the POCSO Act, 2012. The e-Box is incorporated in the home page of National Commission for Protection of Child Rights (NCPCR) website. NCPCR has been conferred the Skoch Silver and Skoch Order-of Merit award for POCSO e-Box. The Classic IAS Academy is regarded as the Top IAS Coaching in Delhi. The Academy steadily works towards realizing the dreams of both the Hindi and English students to participate in the civil service examination. The Academy also conducts seminars and workshops with the help of experts in order to train the student to think, feel and express like civil servants.